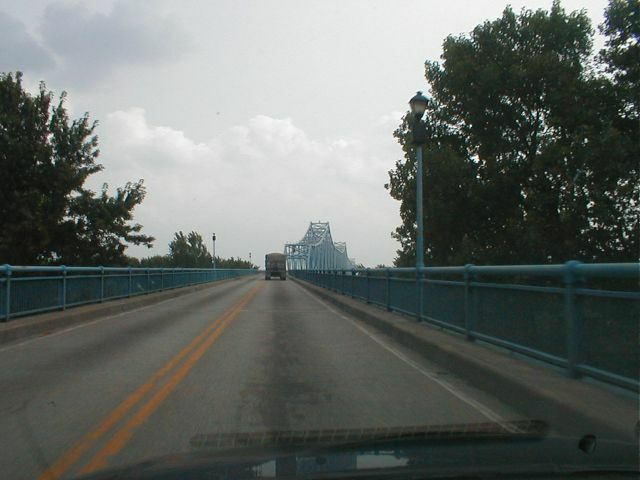 KY 2155-IN 161 Glover Carey Bridge over the Ohio River at Owensboro in Daviess County. Photograph taken while heading south bound into Kentucky from Indiana. This photograph was taken by Jeffrey Carlyle on Aug. 9, 2001. This picture has been scaled to 50% of its orginal size. If you would like the orginal, larger image, please contact Jeff.